Here is a bike mentioned as the Suzuki Baby B-King, due to the design like B-King but in small engine 250 cc. 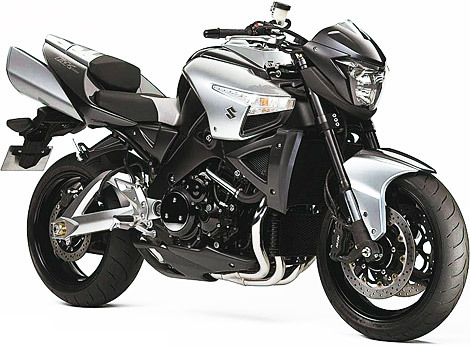 Suzuki GW 250 comes with engine engine 4-strokes, 2 cylinder 250cc liquid cooled and capable of generating power 26HP at 8500RPM with max torque 2,42 kgf at 7000RPM. The bike that owns weight 180kg has been introduced in China and it would go on sale in Brasil and Europe about 2011 or 2012. The naked bike without fairing expected to come in Indonesia by the bike lovers.